Football season is upon us, and it’s time to party like true Washingtonians. Which means, of course, awesome pub food, local craft beer, and fine recreational weed. 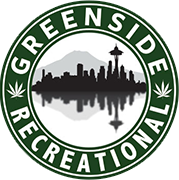 Here at Greenside Recreational, we have all your cannabis needs covered — from dank buds to vape cartridges and premium wax. Still missing the burgers and beer? Here’s our picks for the best Lake City bars to watch the Huskies game. This classic brew pub has three locations (Lake City, Burien, and West Seattle; all located conveniently close to either our Des Moines or Seattle pot shops). Go for the game and the craft beer and stay for the pulled pork sliders and chicken sandwiches (brined in jalapeño and served with pepperjack and chipotle aioli). The chef focuses on sourcing ingredients from local farms–think Angus beef from Eastern Washington and ice cream from West Seattle’s Husky Deli. As a plus, you can celebrate your Seattle teams with the appropriate local brews: organic Elliot Bay IPA and (better yet!) Lake City Way IPA. A low-key pub with a solid menu of bar favorites, a full bar, friendly bartenders, and pool tables and darts for friends who aren’t glued to the game. Sate your munchies with the Reuben or the perfect wings. Within skipping distance of Lake City, Naked City Brewery & Taphouse claims to have the biggest screen in Greenwood. With an excellent selection of beer and cider; a large outdoor area; and quality salads and sandwiches, this is a fan favorite. Try the Spy Who Came in For a Kolsch or the Crossfire IPA, which is notable for its notes of citrus and pine.